Park's Motor Group's new Maserati showroom in Hamilton, just south of Glasgow, is now officially open. The dealership marked the occasion with a special customer event. areas. The completely new showroom showcasing the brand's latest Corporate Identity features an indoor display of five new cars, a full aftersales facility for service and repair as well as a display of used cars. Models on show include the Quattroporte, Maserati's flagship luxury four-door saloon and the new Ghibli executive saloon, the latest model to join the range and the first Maserati to feature a diesel powerplant. 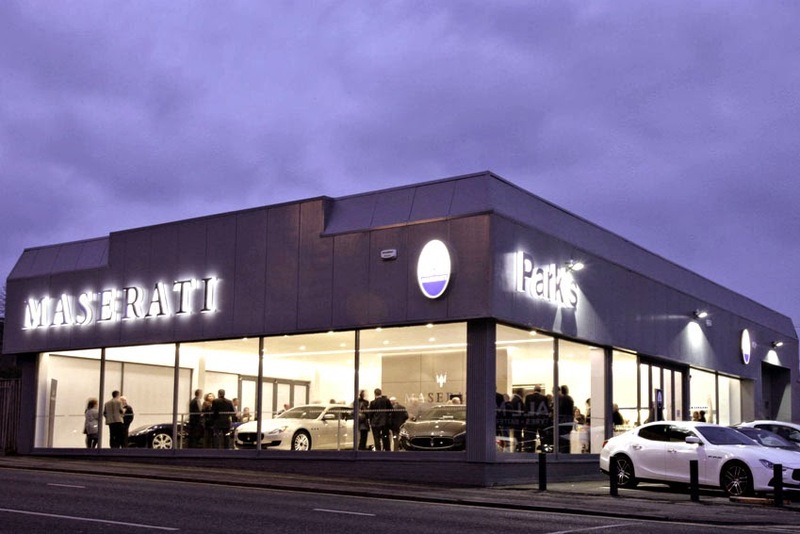 Park's Maserati is headed by Lee Martis and is one of 43 retail sales outlets of the dealer group which represents 18 brands and includes dealerships in Ayrshire, Glasgow, Lanarkshire, Fife and West Lothian. "With their local understanding, Park's new Maserati showroom will be a highly effective presence for the Maserati brand in West Scotland - an important area for us - and they will be vital to achieving our joint goals as a strong and fully supportive partner," said Peter Denton, Region Manager Maserati North Europe. Ross Park, Director, Park's Motor Group, added, "We're delighted to be officially opening this stylish new showroom and now representing the Maserati brand across West Scotland. We look forward to delivering the highest levels of customer service in an environment tailor-made for showcasing the superb Maserati range." Park's Maserati is located at 143/159 Almada Street, Hamilton, Glasgow, ML3 0ET.